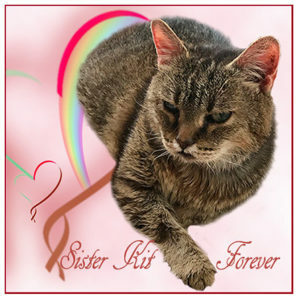 We are a bit late posting this but we were really sad to hear that two more blogging furriends have recently crossed the Rainbow Bridge. We are sorry to see kitties departing. It is important to keep up with our friends and appreciate them. Please join Sasha for his 5th Birthday party. Bring your friends for a lively evening. So sad, losing our four-footed friends. I've left my condolences for both families. RIP Kit and Mr. Jack! Wonderful tribute. It's so unfair we can't have our furbabies for a lifetime! And Kit and Mr. Freckles are well-loved.